Divisible content 101, learn how this simple content marketing strategy helps businesses get more bang for their buck. "Content marketing has exploded in recent years as brands seek new and more authentic ways to reach consumers. However, as brands ramp up content marketing, they often find it challenging to produce enough content for the many publishing platforms and audiences they need to reach —efficiently and at scale. 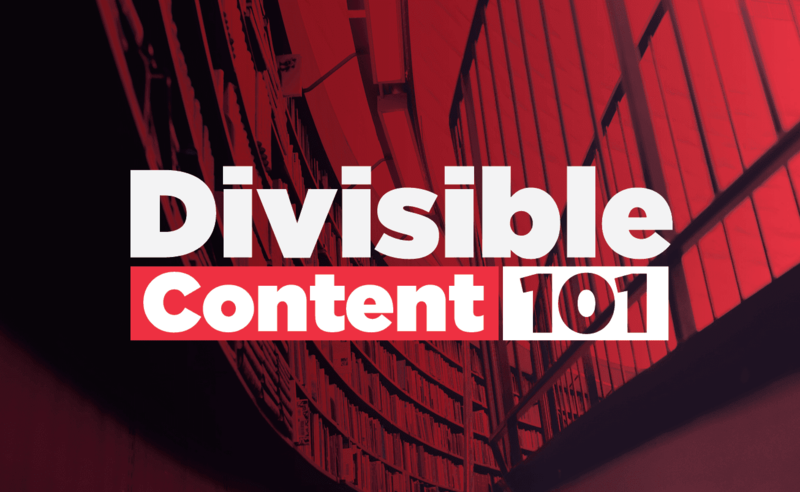 The Divisible Content approach is an effective strategy that allows brands to produce large volumes of content while expending minimal time and resources." 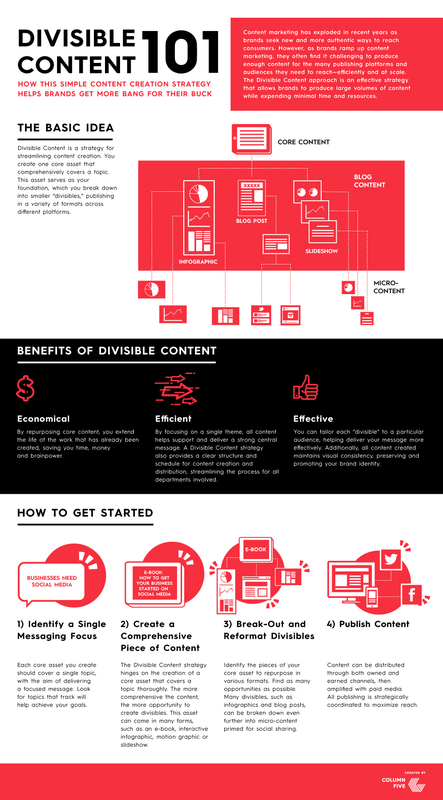 Take a look at below infographic by Columnfivemedia to learn more about divisible content. Click image to view a larger version of this image.